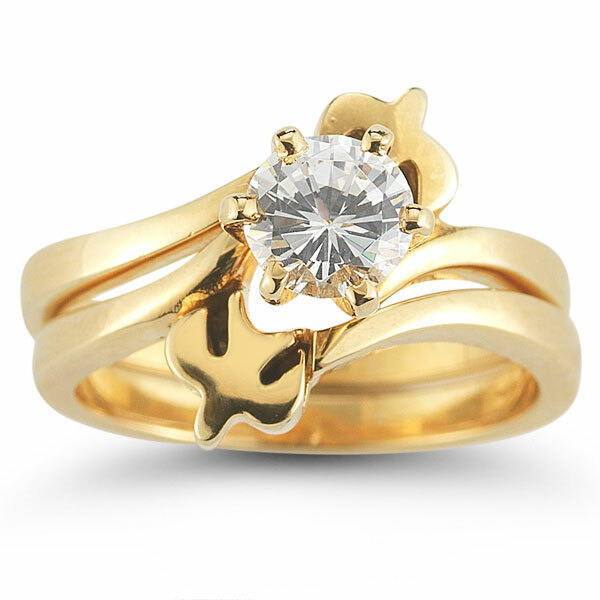 Shower your bride with only the best in bridal ring jewelry, like this ring set from Apples of Gold. 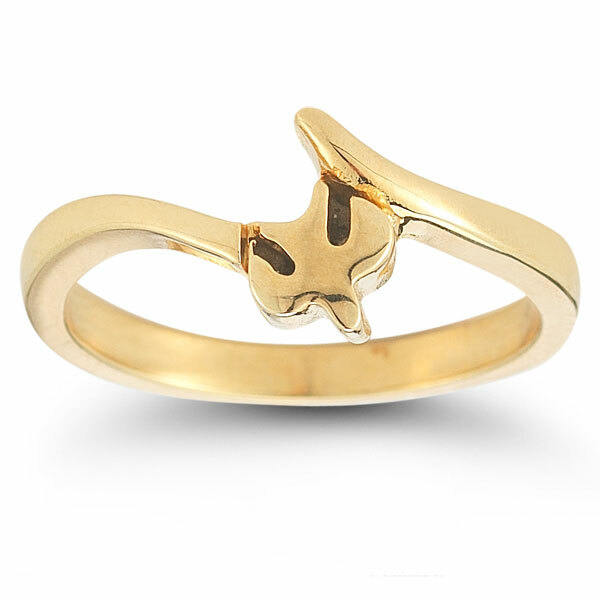 The Holy Spirit Dove Engagement Ring Set features two beautiful doves as a soaring focal point for this piece. 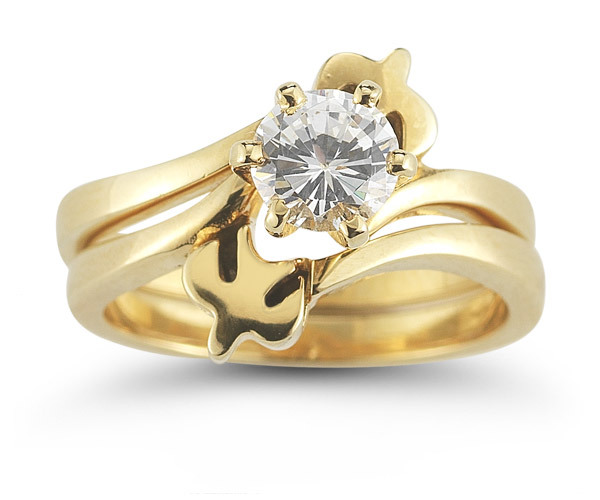 A shimmering cubic zirconia stone anchors the doves, which is round cut for optimal brilliance. Two 14K yellow gold bands that complete the stunning look and design for this engagement ring set support this centerpiece. 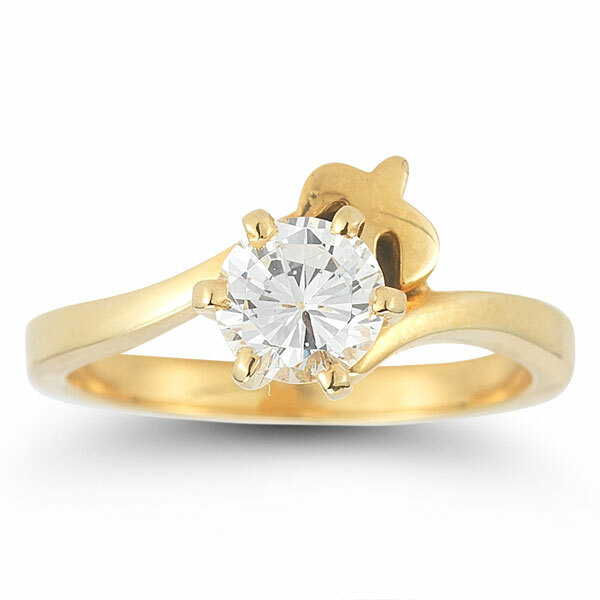 Apples of Gold Jewelry guarantees the Holy Spirit Dove CZ Engagement Ring Set, 14K Gold to be of high quality and an authentic engagement ring with real diamonds, as described above.